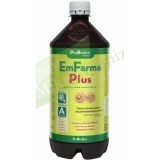 EmFarma Plus is a natural bioenchancer which boosts plant growth. It is a microorganic preparation enriched with phototropic bacteria (more resistant to sunlight) what makes it more efficient than EmFarma at decay of organic matter and it increases accessibility of mineral ingredients (mainly nitrogen). 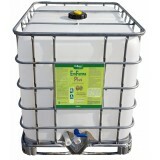 EmFarma Plus is a natural bioenchancer which boosts plant growth. It is a probiotic preparation enriched with phototropic bacteria (more resistant to sunlight) what makes it more efficient than EmFarma at decay of organic matter and it increases accessibility of mineral ingredients (mainly nitrogen).